A biographical excavation of one of the world’s great, troubled cities. 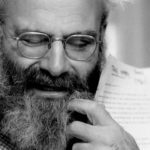 'This book,' Hoffman announces early in Till We Have Built Jerusalem, 'is an excavation,' an attempt to sift the wreckage of Jerusalem's buried past. Buried pasts, I should say — Hoffman makes it abundantly clear in this brave and often beautiful book that they are many — and interlinked ... Hoffman writes with a quiet, stubborn courage, scouring the archives not only to understand Israel and Palestine as they exist today but to resurrect another vision, long since clouded over, in which identities were not so violently policed ... We are fortunate that she did, that she found the strength to remind us that other possibilities have existed, and may yet exist, beside the current grim reality. 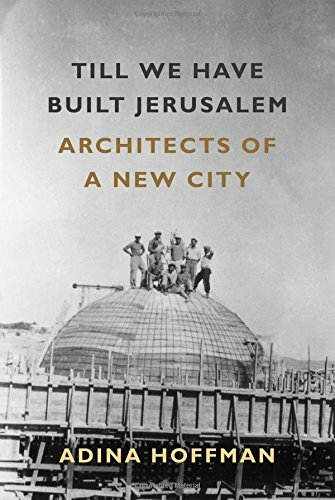 A composite of biography, architectural and political history, and reportage, Hoffman’s engaging book illustrates the intricate interplay between architecture, identity, and history in this ancient and troubled city ... The contrast between Jerusalem of the early 21st and early 20th centuries is striking, and it’s hard not to share Hoffman’s melancholy nostalgia for that vanished era. Ms. Hoffman, an American writer who has spent many years in Jerusalem, resurrects these forgotten men and succeeds in adding fascinating human detail to the cityscape. Almost everything in the book was new to me, though I’ve lived in Jerusalem my entire adult life and have passed some of the buildings she describes thousands of times ... The stories in Ms. Hoffman’s account brought new pieces of Jerusalem to life and made me more alert to the choices, good and bad, made by those who put the city together over the years ... The author’s take is open to some debate...Ms. Hoffman’s description of Jerusalem, in any case, seems to be less one of the city’s appearance than of its soul, which leads us back to the question of what exactly Jerusalem is and where its soul lies. What did you think of Till We Have Built Jerusalem?